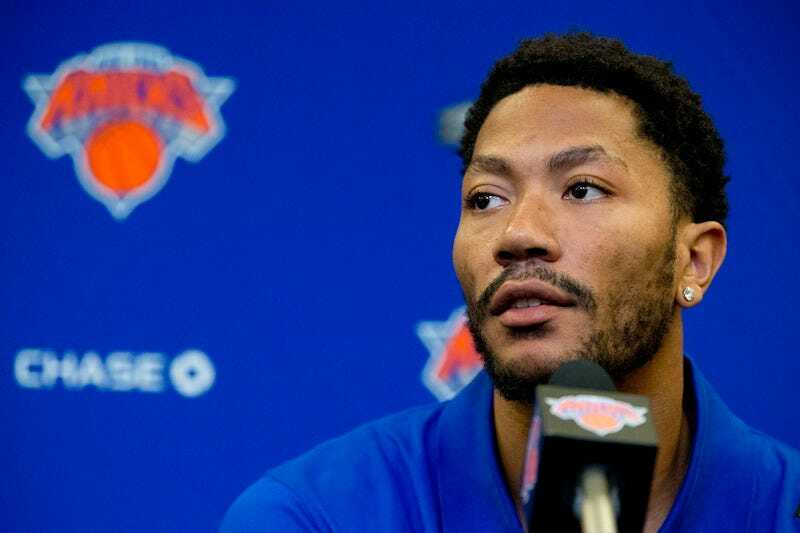 Point guard Derrick Rose caused some eyebrows to shoot off their foreheads in an interview Wednesday after he claimed that members of the public were calling the New York Knicks a superteam. They’re high. I mean, with these teams right now, they’re saying us and Golden State are the super teams, and they’re trying not to build that many super teams, and Adam Silver came out with the statement and this and that. And the expectations I think of us, we just want to win. Talking to Melo and all the guys who’ve been around. You’ve got Brandon who just signed for one year, he’s got to show why he’s there. I’ve got to show why I’m there. Joakim has to show why he’s there. Everybody’s trying to prove themselves. When you’ve got a group like that, it’s like, alright, I know everybody wants to do that, but we’re going to break this down as simple as possible, and try to win every game. I think winning takes care of every category, as far as being an athlete. You look at endorsements, being on the floor, almost everything — I think winning takes care of all that. And if you’re in the league, winning takes care of all the mistakes, or if you have any problems on teams. This offseason, the Knicks acquired Rose, Brandon Jennings, Joakim Noah, and Courtney Lee. They also signed Sasha Vujacic to a one-year deal. If you’re aware of the existence of more than one person who claims the Knicks are a superteam, though, please email samer@deadspin.com.